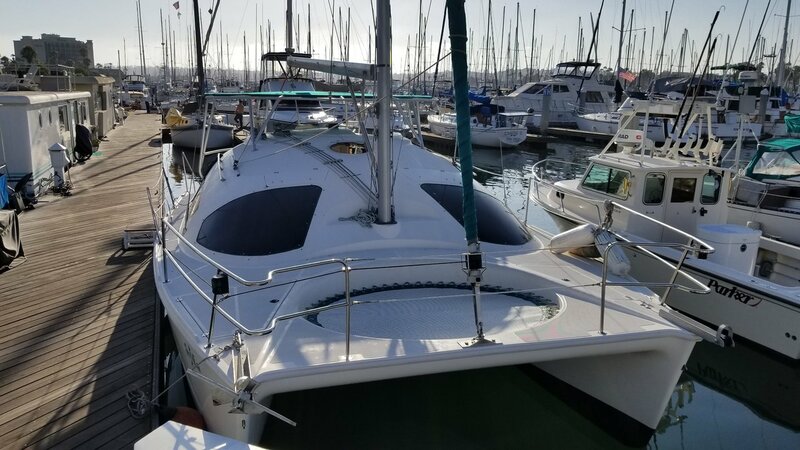 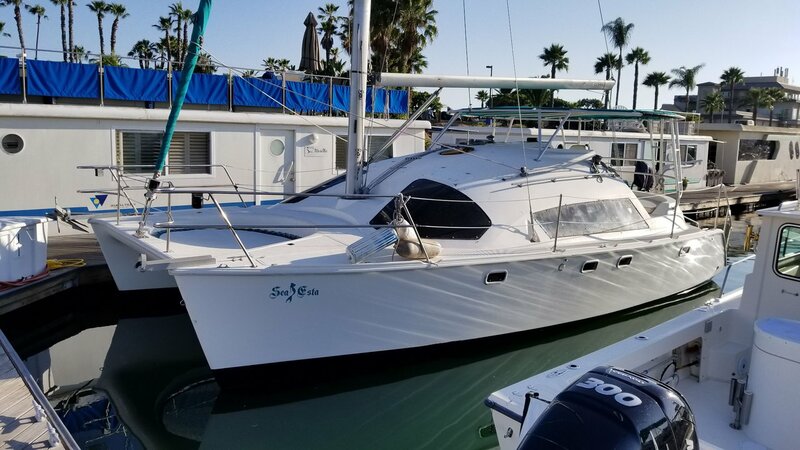 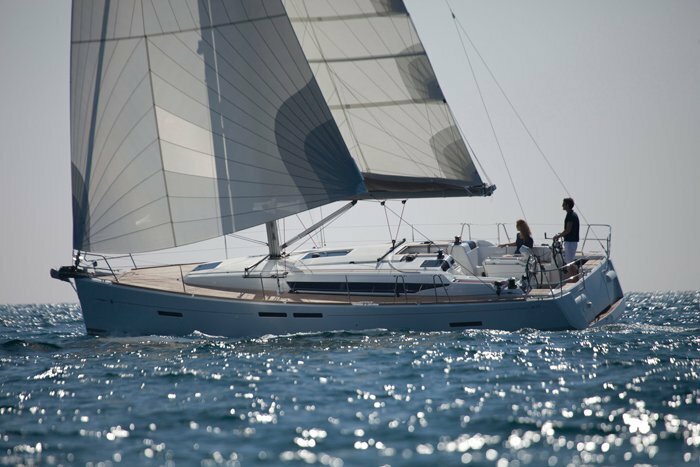 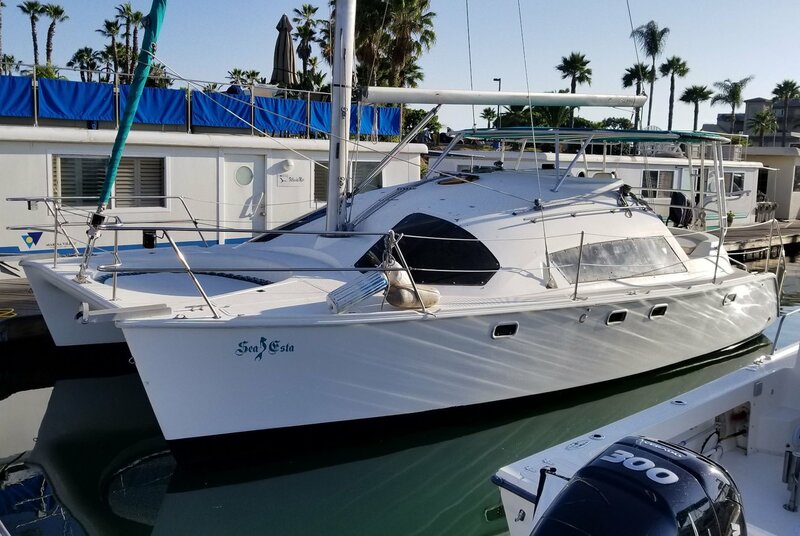 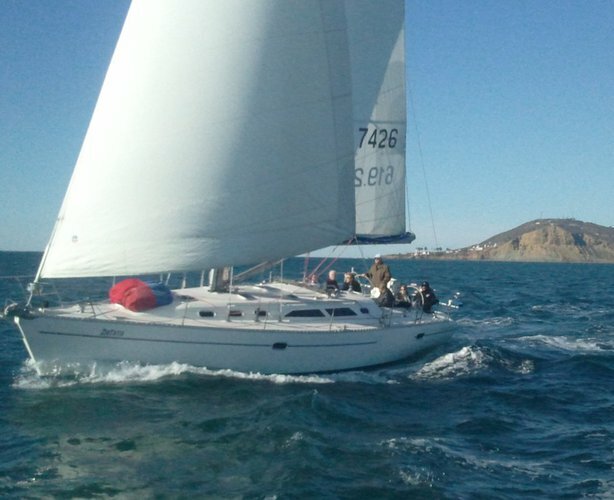 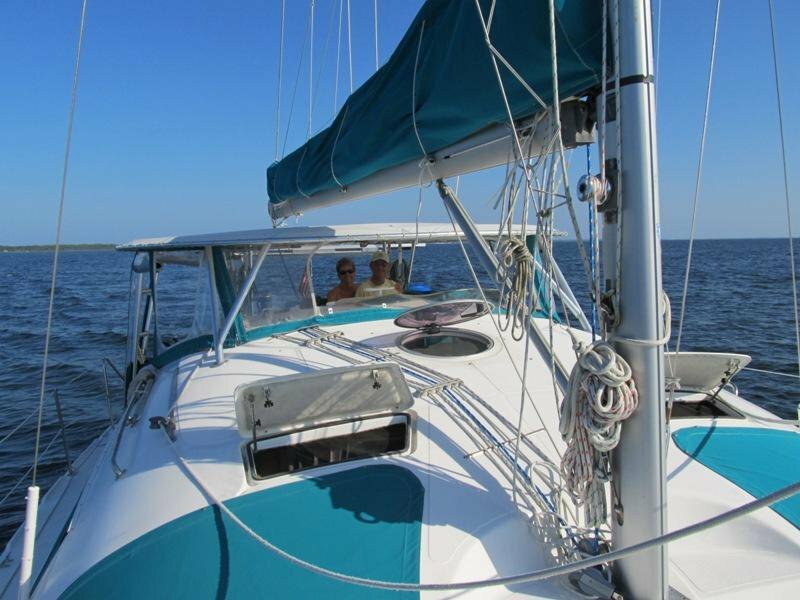 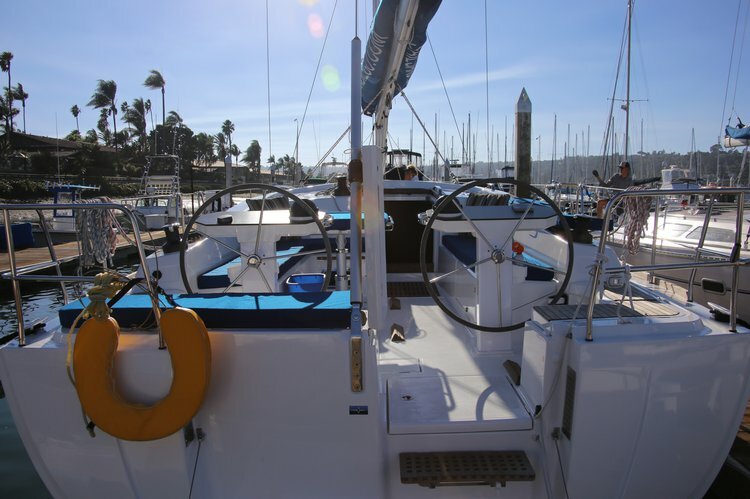 Rent a fantastic new 32′ sailing catamaran for your harbor excursions should you feel the need to bring more friends and have a stable, fun, and exciting party. 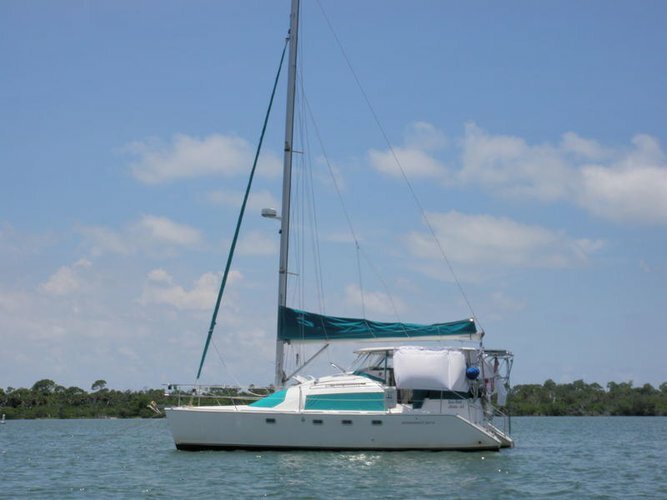 This catamaran is roomy, stable, and can fit up to 12 guests for a remarkable cruise around the bay or beyond. 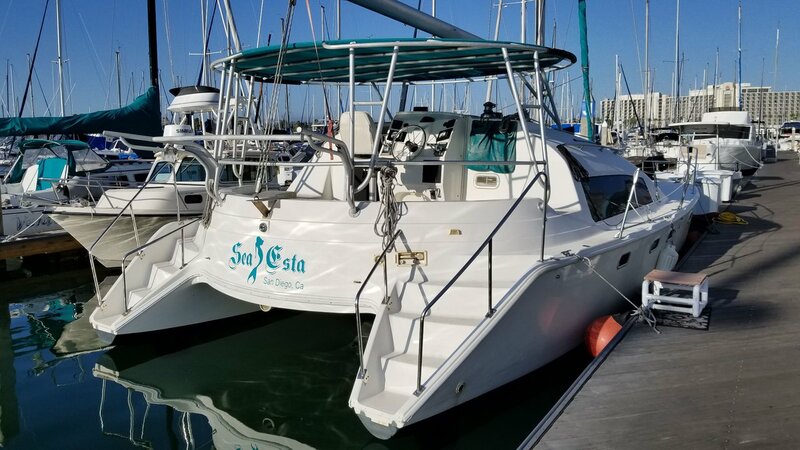 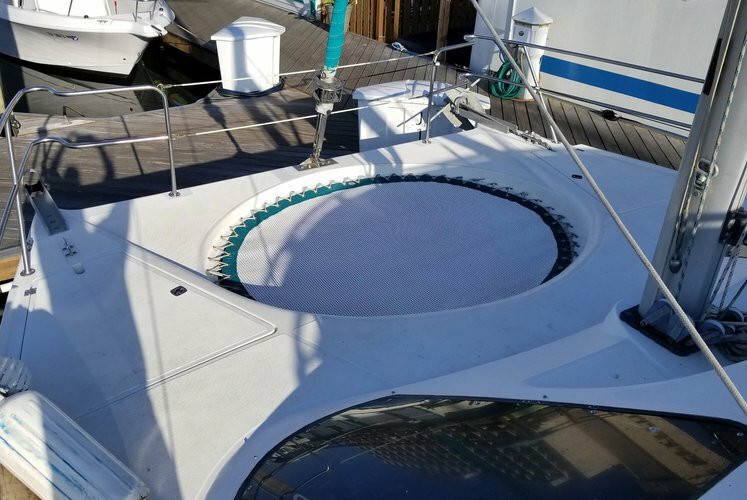 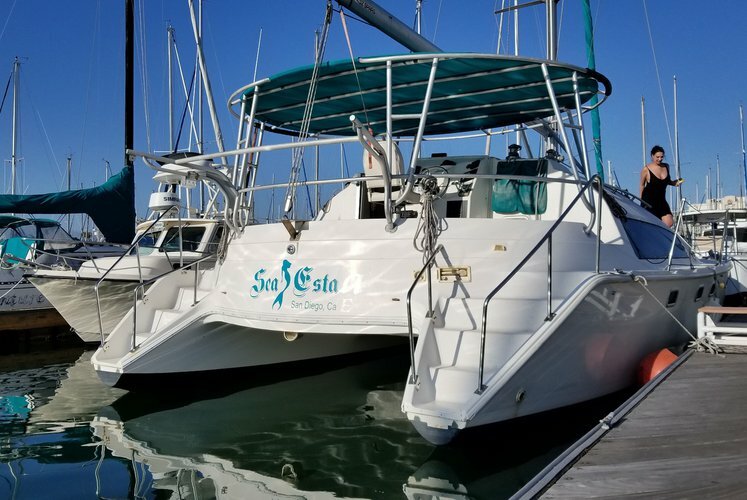 This catamaran can be used for private parties, surfing trips, private birthday parties, Bachelorette parties, burials at sea or just a meandering cruise around the bay. 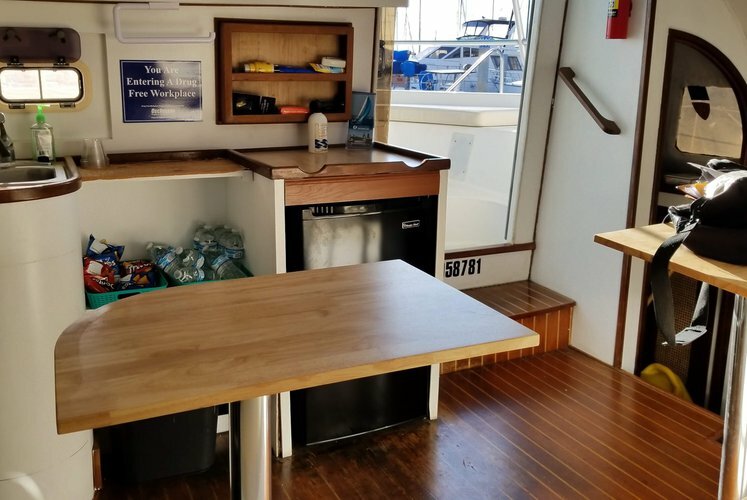 We take the time to ensure your cruise is the best in town. 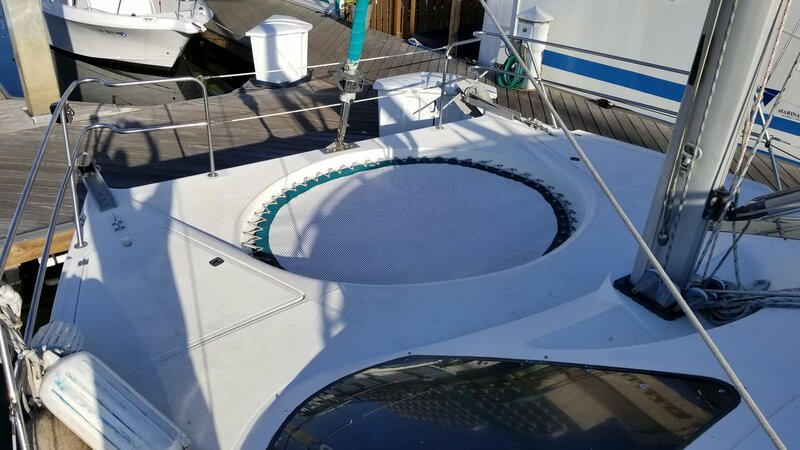 Built on twin deep-V hulls with a solid round crescent-shaped party seat, fiberglass bottom, two-stateroom interior, and a bar area for guests, this catamaran offers comfortable accommodations for six to twelve persons. 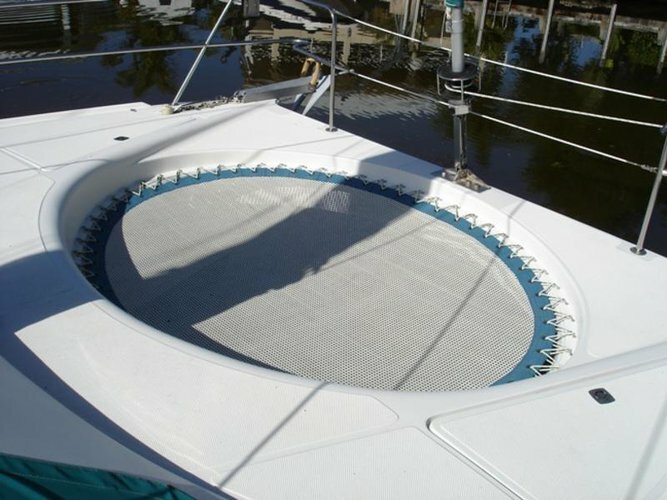 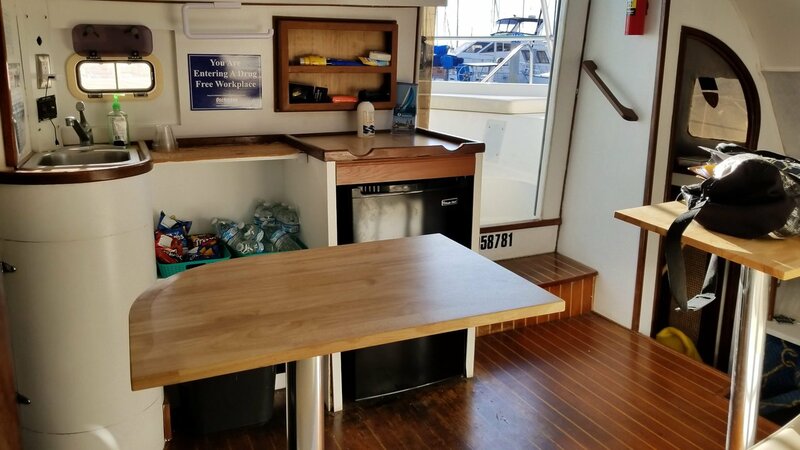 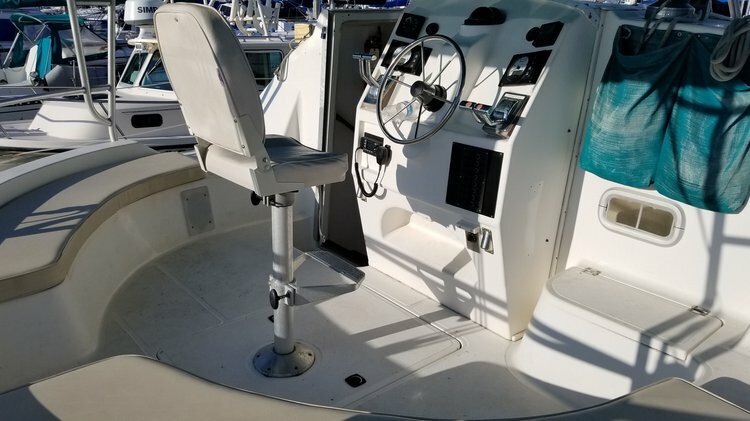 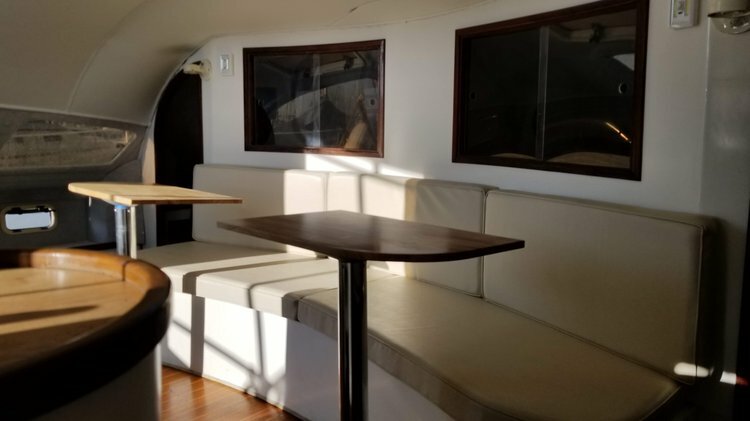 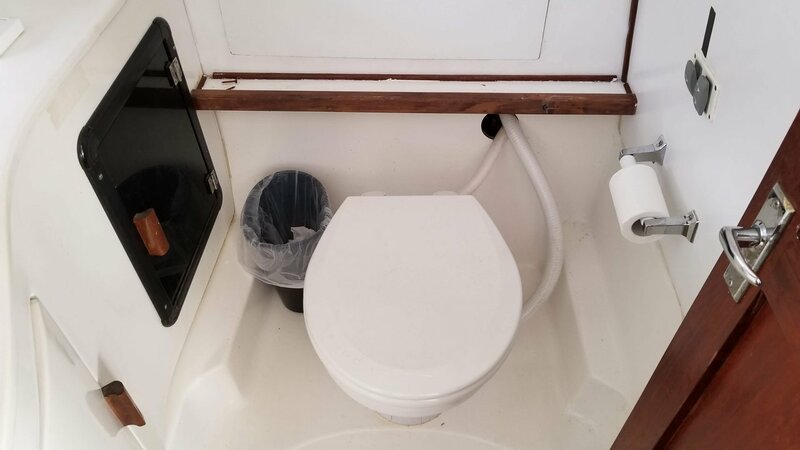 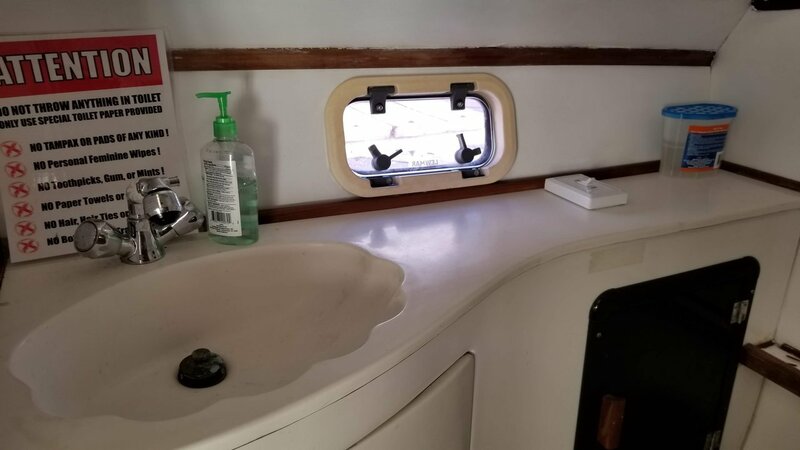 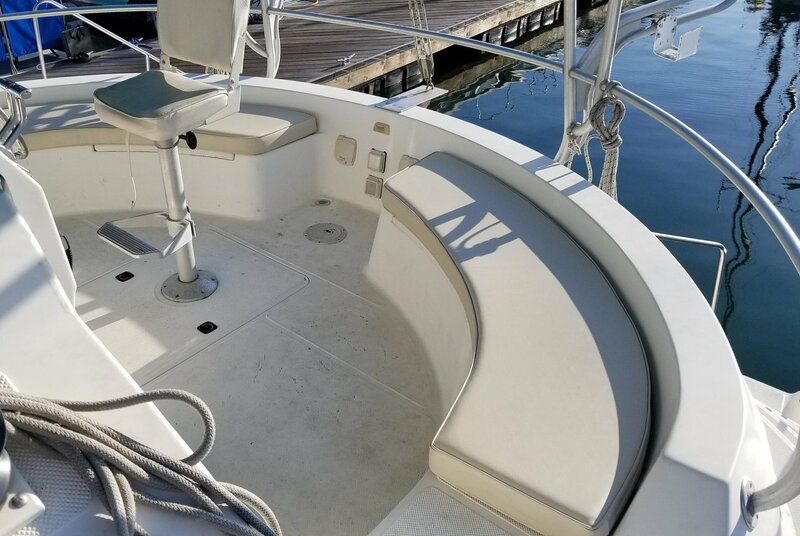 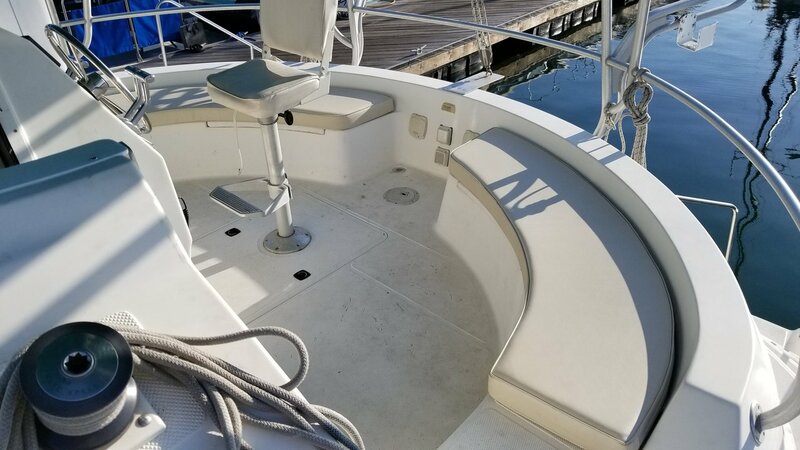 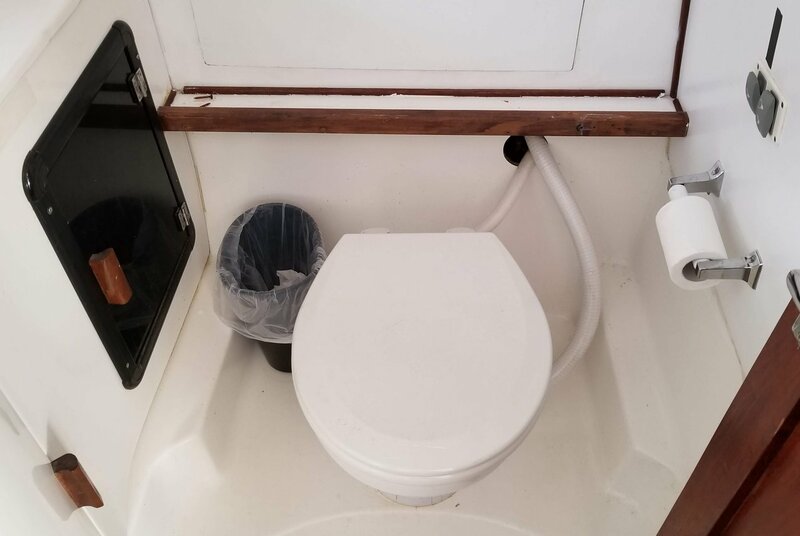 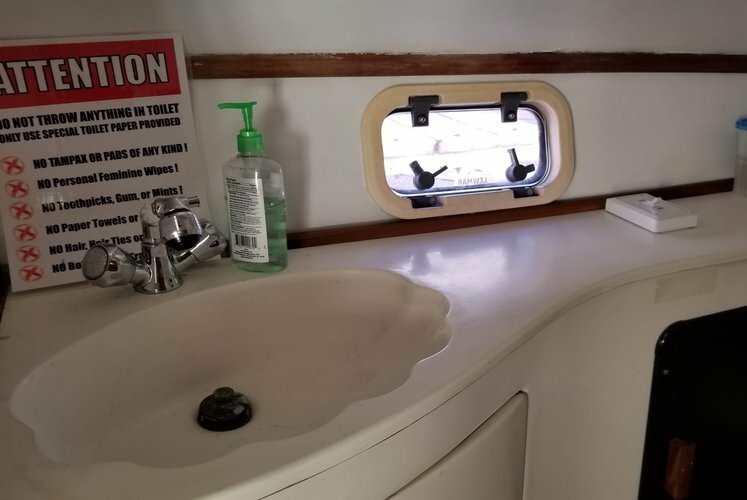 The roomy galley includes two pedestal island tables as well as a TV/VCR and a privacy door, and a circular seating area bin the back of the boat for parties, diving, and showering off after playing in the water. 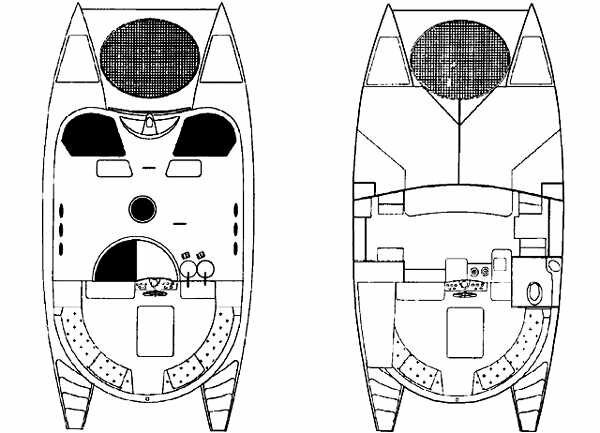 Two pocket doors close off the starboard sitting room, converting them into two private staterooms with a large comfortable bed and plenty of room for two persons each. 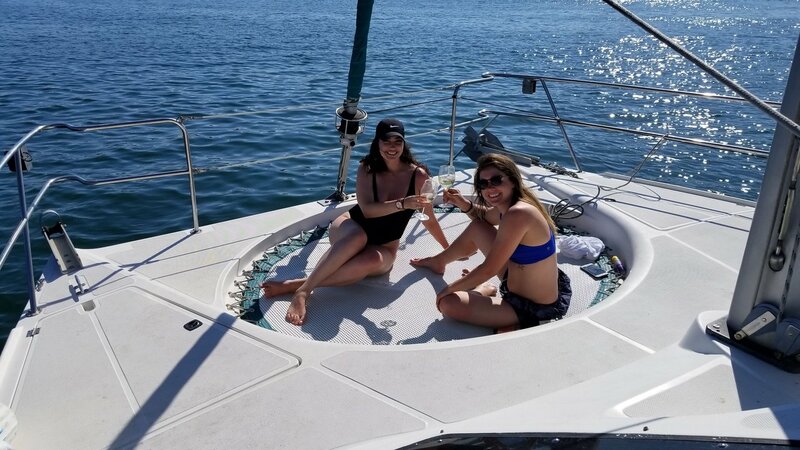 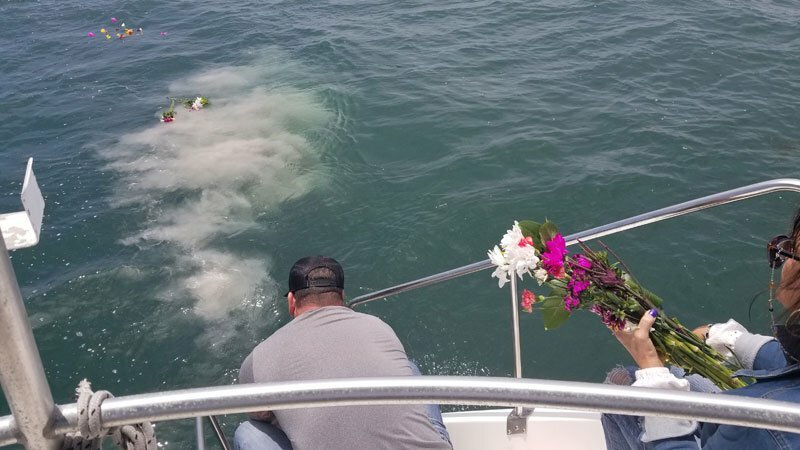 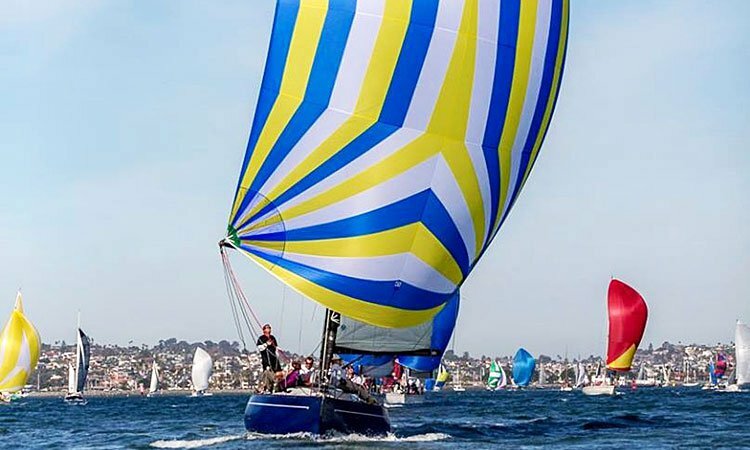 Whether you’re planning a birthday party, bachelorette party, corporate event, wedding or just want something special while cruising aboard our yachts, let us provide a cruise on San Diego Bay that will work within your budget to give you that extra special touch. 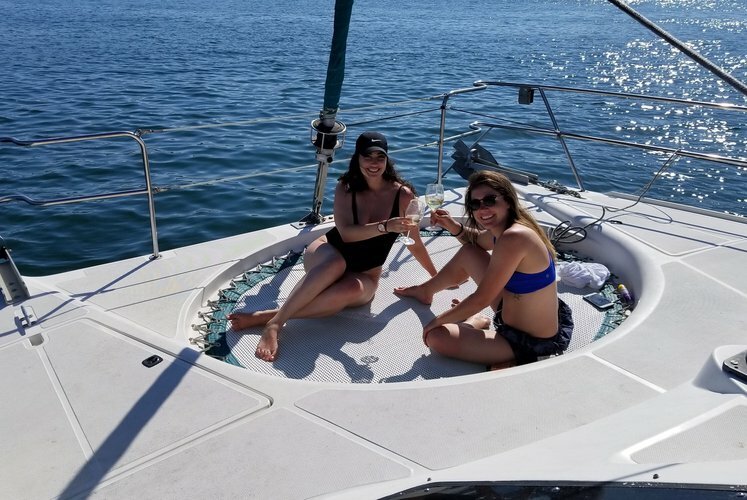 You can BYOB your own food and Alcohol on all of our yachts. 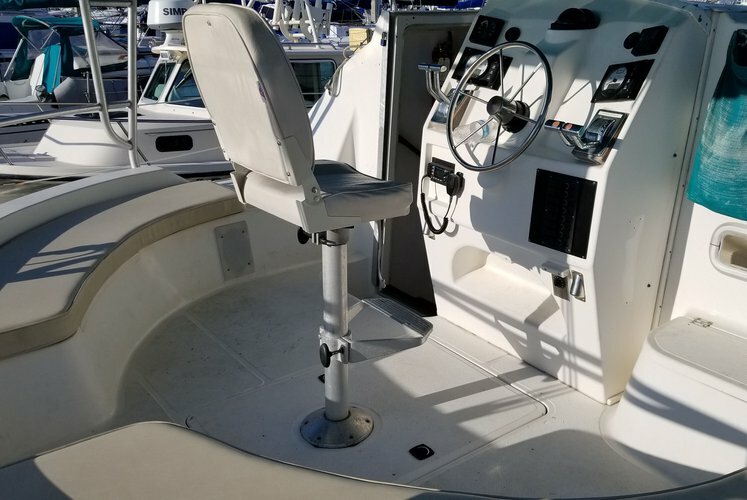 Minimum trip duration for this boat is 3 hours and prices will vary. 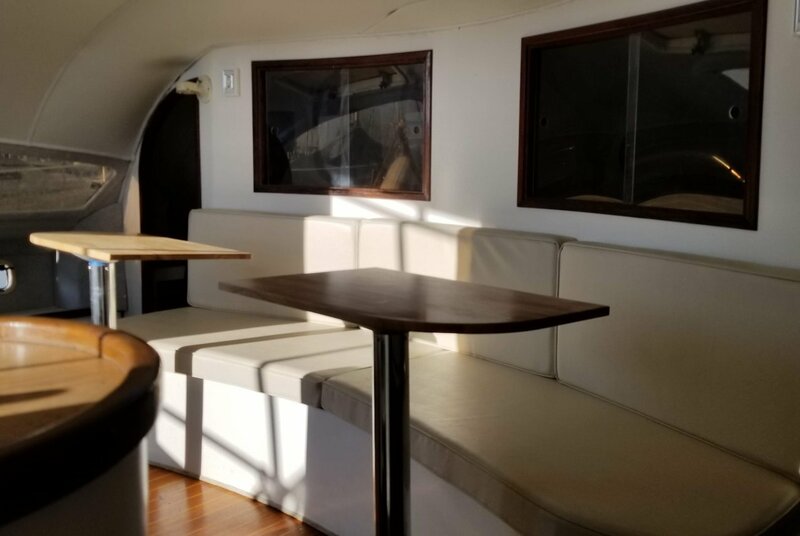 Please inquire directly through "Message Owner" for exact pricing.